Anna-Marie de Zwager completed her Kinesiology degree at the University of Victoria in 1999. She was a student athlete and the starting goal keeper with the Vikes Field Hockey Team for her five years at UVic. Over these past 20 years, she has gained extensive experience in the field of active rehabilitation and fitness including working in hospital settings, multidisciplinary private rehabilitation clinics and Canadian Forces. 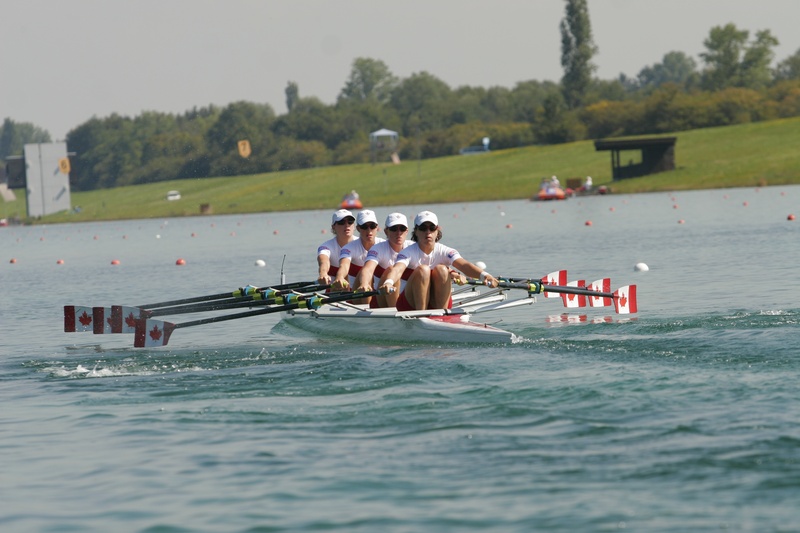 In the midst of building her skills as a health care professional, Anna-Marie discovered the sport of rowing and worked her way onto two Canadian Olympic Teams. 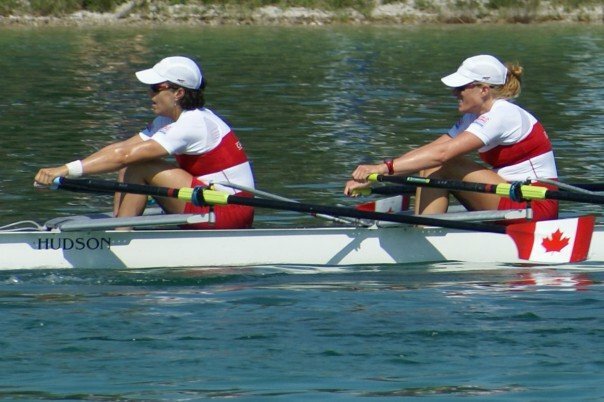 She competed in Athens 2004 in the Women’s 8+ (Eight) and in Beijing 2008 in the Women’s 4x (Quadruple Sculls). In addition to those regattas, she raced for Canada at three World Championships and multiple World Cup and International Regattas in a number of different boats including a single and a double. She also experienced quite a bit of success on the indoor rowing machine, affectionately known as the Erg. She won the Canadian Indoor Rowing Championships twice (2007 & 2008) as well as the World Indoor Rowing Championships in 2007, 2017 and 2018. 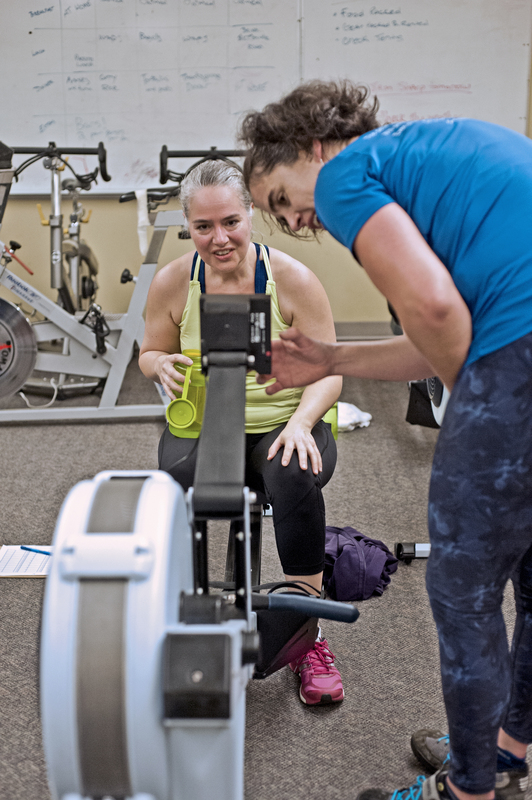 Since returning to the field of active rehabilitation from her time as an Olympic rower, Anna-Marie has found great pleasure working with individuals of all ages and abilities. She loves how sometimes the most simple movement or exercise can provide such an incredible amount of independence. For example, being able to sit and stand safely, balance while putting on a jacket, reach for an item in a cupboard or negotiate a corner with a walker. Similarly, maintaining good posture, a stable core and sound positioning while performing athletic feats or working toward complex physical goals can be equally as empowering and motivating. About a month ago I had an hour session with Anna-Marie to try and find some relief for a problem knee. She showed me several exercises and documented them so I could take them away. About two weeks after the session my knee began to improve until now I feel it is no longer an issue. I had thought it was completely worn out and looking for replacement. I’m extremely grateful. Thank you. As I have aged I find my body has slowed, weakened and hurt more. One month of a weekly exercise program with Anna-Marie and the changes are noticeable: stronger legs and arms, more desire to move and less pain. Also, a better understanding of how my body pieces work together. All the exercises were planned just for me after [an initial] assessment. Anna-Marie not only identifies the need but in her professional, empathetic manner she encourages you! I can’t thank her enough. [My father’s care facility] did a reassessment this week, and (surprise…surprise…) they found [he] is actually more independent and requiring less services. So our monthly payments are going down! Maybe other families might grasp the “economic wisdom” of exercise. Better health, better quality of life, and less costs for seniors/families. I would like to see Anna-Marie continue her work with and support of Mary. I have certainly noticed a gradual strengthening of her core and legs. Equally important she is having fun with Anna-Marie during these exercise sessions. She often remarks after Anna-Marie leaves that she feel good and understands how important exercise is (even at her age of 92!). I appreciated Anna-Marie’s professional demeanour and her care and kindness toward Mom. I found her easy to work with and I could see that she was able to maintain a good working relationship with the staff at [facility name]. My Mom’s safety was always her first priority and she knew what expectations would be appropriate. It was evident to all that my Mom enjoyed Anna-Marie’s visits very much. I have no hesitation in recommending Anna-Marie to any future client. Anna-Marie is a well organized, caring teacher. Each lesson is well planned, varied and interesting. In a class of many…she still manages to watch us and treat us as individuals. She is witty, fun and a real asset to our Rehab classes. 3. (She has a) most pleasant attitude and patience in dealing with older people. Your visual explanation of our different exercises is clear and concise… with a little humour tossed in at times! I look forward to our sessions… didn’t think I would but I DO! Thank you Thank you! I am happy to provide you with highly positive testimonial for your leadership, knowledge, enthusiasm and empathy shown to me and my fellow members of the pool-rehab classes. I am sure … that your personal experience as an elite athlete gives you a special awareness to the task of selecting an appropriate routine to work on all areas needing attention. Anna-Marie is always pleasant and sympathetic and shows a great sense of humour. Throughout she as shown a professional and mature attitude. All in all, an excellent instructor. I personally have benefited from this program. I have had two sets of hip replacements over the years. Anna-Marie offers such a variety of … exercises that one always tries that much harder and comes away feeling that much better. I say without reservation she is excellent. She has shown professional knowledge, good communication skills, friendly demeanour, respect and understanding for each participant and a nice selection and change to the program to maintain interest. I recommend her services without reserve and thank her for helping all of us live improved lives. We are pleased to tell you just how much we appreciate taking part in a rehab program under the instruction of Anna-Marie de Zwager. My wife and I (who are 79 & 80) have had a hip replacement and other orthopedic and neurosurgeries.The exercises are very important to us. We have no hesitation in stating that the program under Anna-Marie is the most effective program we have ever partcipated in. Her wealth of knowledge relating to the body and how it functions is vast. I would not hesitate to recommend Anna-Marie to anyone and everyone needing rehab instruction.